Piller's Fine Foods recalling some of its lunch meats because of possible salmonella contamination. 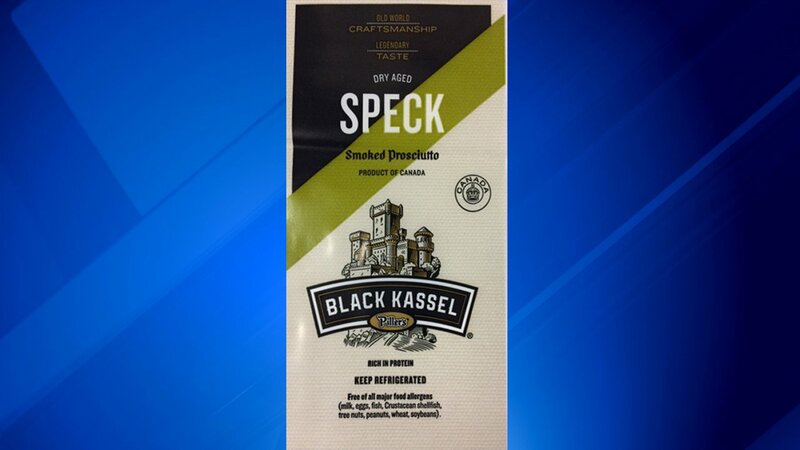 The recall affects vacuum-sealed packaged Black Kassel Piller's Dry Aged D'Amour Salami and Black Kassel Piller's Dry Aged Speck Smoked Prosciutto, both with best before dates of May 17, 2018. The items were made in Canada and shipped to distribution centers in Illinois, California, Michigan, New Jersey and New York. So far, there have been no reports of illness. Anyone with the lunch meats are urged to throw the product away or return them to the store for a refund.